As far as rumors and leaks are concerned, everything is pointing towards Samsung shutting down the traditional flat screen variants of their flagship smartphones with the Galaxy S8. However, these rumors have sparked quite a bit of controversy among fans and experts alike. Some of the customers are of the opinion that a phone sporting a curved display is inconvenient as unintentional inputs from touching the curved sides of the display can be irritating. Some industry veterans agree to this point and even go on to add that a bezel-less display isn't actually that remarkable on a phone as the size of the panel can never be big enough to matter. 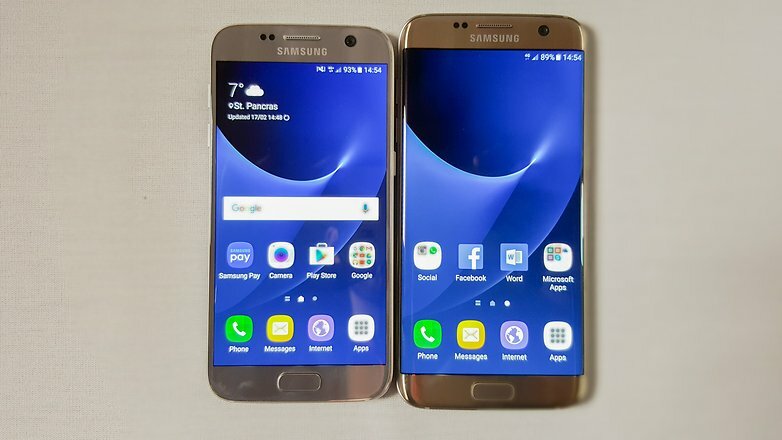 In spite of the truth in these arguments, one cannot deny that the dual curved S7 Edge does look a lot better than the regular S7 and that aesthetic appeal is going to reach new heights when Samsung couples that with the rumoured bezel-less or all-screen design. If the Korean giant can improve upon the palm rejection tech for the "Edges," there's very little that one can say against the design. Are you excited about the rumoured 6.2-inch QHD Super AMOLED bezel-less dual curved display on the S8 Plus? Or would you prefer if Samsung stuck with a traditional flat screen for the regular Galaxy S8? Our Mission is Keeping you updated with Latest Android News and Updates as it Happens!